From farmer Joel Salatin's point of view, life in the 21st century just ain't normal. Here, he discusses how far removed we are from the simple, sustainable joy that comes from living close to the land and the people we love. 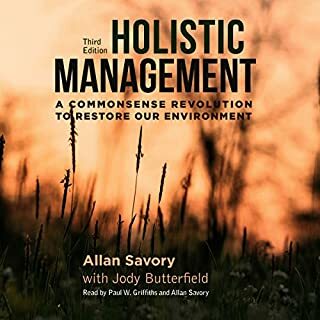 Salatin has many thoughts on what normal is and shares practical and philosophical ideas for changing our lives in small ways that have big impacts. >Salatin, hailed by the New York Times as "Virginia's most multifaceted agrarian since Thomas Jefferson [and] the high priest of the pasture", and profiled in the Academy Award-nominated documentary Food, Inc. and the best-selling book The Omnivore's Dilemma, understands what food should be: wholesome, seasonal, raised naturally, procured locally, prepared lovingly, and eaten with a profound reverence for the circle of life. And his message doesn't stop there. From child-rearing to creating quality family time, to respecting the environment, Salatin writes with a wicked sense of humor and true storyteller's knack for the revealing anecdote. 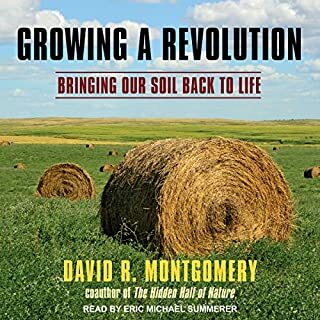 Salatin's crucial message and distinctive voice - practical, provocative, scientific, and down-home philosophical in equal measure - makes Folks, This Ain't Normal a must-listen book. loved it. a wealth of knowledge. a rare find of insights into a world outside the concrete prision we call a city. Absolutely loved it. I'll be purchasing the hardcopy! Concerning and eye opening. Looking forward to reading his other books. I now know that most of the food I am consuming is not biological,but chemical.In America in particular we are not free to eat what we want.In fact,we are limited to choices that are government regulated and supported only.We are not so free after all.Many of these food jobs we could have in America have been so over regulated that now the food we should be able to get locally probably is grown in a foreign country and shipped via cheap oil.As long as oil is cheap,food will be cheap.The government has kept the prices unusually low,but slowly they are modifying what we eat with chemicals to make the products last longer,and travel over greater distances.I wanted to learn something about nature and instead came away with the disturbed feeling that the food we eat isn't always really food,but some kind of sanitized,and irradiated mess packaged up in brightly colored packages to make us happy.Grow your own vegetables,if you have the space get some chickens and feed them your kitchen wastes.They are just like us and eat a variety of things.They will reward you with eggs 9 months out of the year. 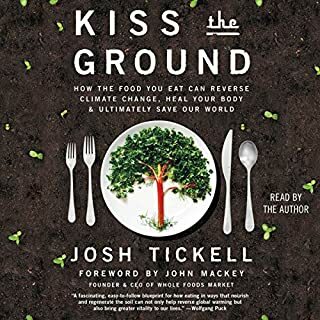 Chock full of information, new ways of looking at things, and solid reasoning for why our approach to food should change. Granted, not all of his suggestions are practical across the board, but even making one or two small changes can help our health, our environment, and our economy. 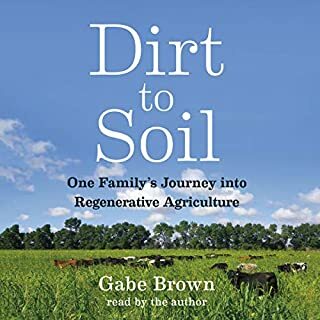 As I read some of the descriptions of the book/author, I was initially concerned that there might be a preponderance of religion here, but I am happy to say that Salatin's beliefs do guide his thinking but they do not cloud his message. It is very easy to filter through and still retain the meat of the message, regardless of your own religious beliefs. Author's reading style matches well with his prose, so much so that I have a very hard time imagining what this book would have been like if it had been read by anyone but the author. His voice and his words are entertaining and genuine. He really made me wish my HOA would allow kitchen chickens! At the same time informative and entertaining! I'm not sure anyone other than Joel would have done justice to this book. Its very easy to get past the Christianity and the other tendencies towards right-wing - he does tell you his belief system up front - and pick out the real innovative, interesting and informative elements in this story. His indignation with bureaucracy really comes through and it led me to investigate what the story was here in New Zealand. 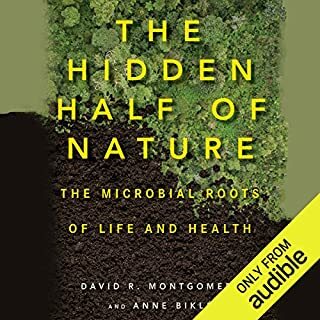 To some degree, he is preaching to the converted in me as a listener, which helps my high rating but I was surprised at just how much I learnt from the audio book. 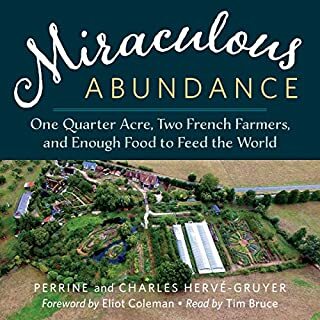 I'd recommend it to anyone who enjoyed Michael Pollan's books or Barbara Kingsolver's Animal, Vegetable, MIracle and I'd recommend watching his talk at the GooglePlex on YouTube as well. This is easy to listen to, and it opens the conversation on many issues that we, as a nation, need to consider. We are under a frightening number of restrictions on what we are allowed to buy, sell, or eat, and that needs to be changed. 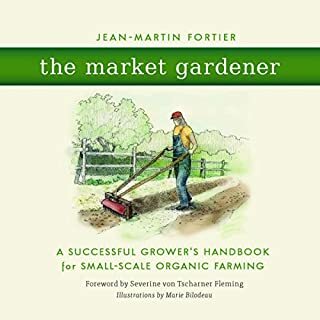 The author argues from the point of view of a small farmer and shows how things are organized in favor of the "big guys" who probably don't have our best interests at heart. It's really eye-opening. 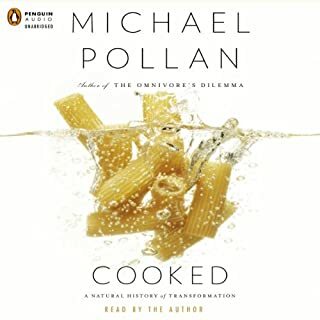 There are a few areas where I really wanted someone to debate him, to see all sides of certain issues, but this book is a good place to start to study the problem of getting good, healthy food in a way that is also good for the planet. Salatin makes a persuasively argued case for local, non-industrial food production and consumption -- a vision we need to adopt pronto, as our current system is unsustainable. A particular treat is hearing Salatin read his own work -- filled with energy and good humor, as well as passion. Every time I listened, I was inspired and energized. I downloaded this because I recognized the author from one of Michael Pollan's books (I don't remember which one, I have several). The narration took some getting used to, but it adds character (and wonderful sarcasm) that a 3rd party might not have been able to produce. As I noted, it tends to get a little preachy, but the book is basically an argument for change, so you can't really hold that against the author. All in all, it was interesting and informative. I love the action plans given at the end of major topics. If you could sum up Folks, This Ain't Normal in three words, what would they be? What was one of the most memorable moments of Folks, This Ain't Normal? I spaced it out to a few chapters a sitting. There's just so much to think about in this book. Don't be put off by any political or religious differences you may have with the author. His tone throughout the book is plain-spoken, inclusive and always seeking the common ground. 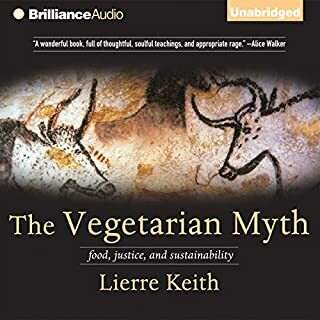 It was such a wonderful and refreshing change from the tribalistic hyperbole that permeates most discussions about food, diet, industry and government. I absolutely loved it and would recommend it to anyone. 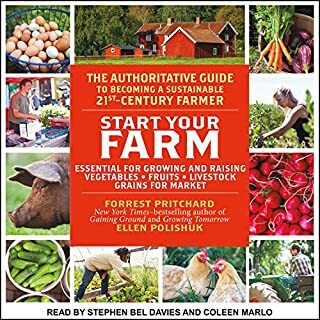 Thanks Joel Salatin for a very informative book! I got so much out of this book that I really wanted to write a review for people who might be considering it. But there is so much in this book, where to start? After I listened to the book (twice), I came across a review in Huff Post that I think hits the book nail on the head. It's by Darya Pino. Don't know if Audible will let me post a link here but it's easy to search for it and she says it so much better than I could. I don't think that anyone (except maybe inside his own family) would agree with or advocate all of his ideas in the book, but that didn't diminish one bit, my overall enjoyment of it. While I'm not a libertarian, I was interested in his views on everything he wrote about - it seems obvious to me that he came by his views honestly after much consideration. We listeners generally agree that authors shouldn't narrate their own books, but in this case, no one else could have done even half as well. His energy gives more power to his words and ideas. Why four stars after this stellar review? Well, it would be 5 stars or more if compared to any other non-fiction and certainly any books about the food industry. And so happy to realize that I'll be able to visit his farm during my summer trip to that area (Polyface is a short trip off route 81, exit 220, in Virginia). 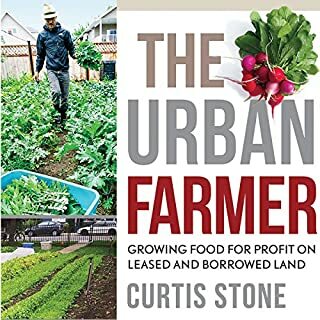 I thought that I was weaning myself off agri-business with my new vegetable garden and buying from Whole Foods, but now I see that there is so much more I could be doing. For starters, let me say that Joel Salatin is a very smart man with amazing ideas on how to run a farm. I would also like to say that I don't disagree with much of the beliefs he shares in this book. I'm just not an extremist like him. I bought this book because I keep bees and had thought that keeping chickens could be a nonchemical way to deal with my hive beetle problems. Yet this book has no practical advice about raising "Happier Chickens" as the title suggests. Instead, Joel pontificates about government and big business. Joel lost me almost immediately by insulting everything from video games, to travel, to movies, to little league, to even owning dogs. He seems to think that American's squander their lives by daring to participate in recreation. In his mind women sit around glued to tabloid magazines and men forgo working to play video games while their families starve to death. Only the Amish are virtuous enough to fall in line with what he thinks is "Normal". 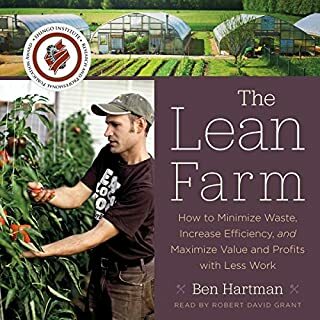 An hour in, I considered asking for a refund but then thought, "Maybe this book will can tell me how to stay out of legal trouble on the farm." Nope - just more ranting! Joel is a survivalist dressed in farmer's clothing, and like survivalist, he seems to believe the world's economy will implode one day and his lifetime of abstinence will give him a great big "I told you so" moment. It won't. Joel is convinced that if we shut down the government then everyone else can be trusted to do the right thing - since only the government and big business are corrupt. He goes on and on about how laws and corporate business practices are "unfair". So let me conclude this review by saying, if you are a fanatical libertarian, a survivalist, or a conspiracy theorist, then this is a book you will thoroughly enjoy. However, if you are looking for practical farm advice, don't even lift the cover. 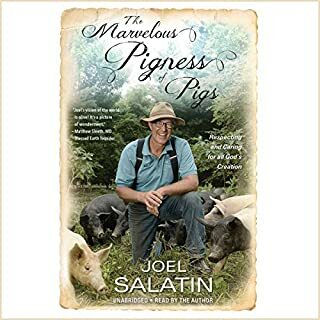 Joel Salatin is a very educated and entertaining author and narrator, and does an excellent job at keeping the listener engaged. The information he presents should be heard by all - the world would be a much better place if more people heeded his advice. Amazing book. Everyone needs to read this. 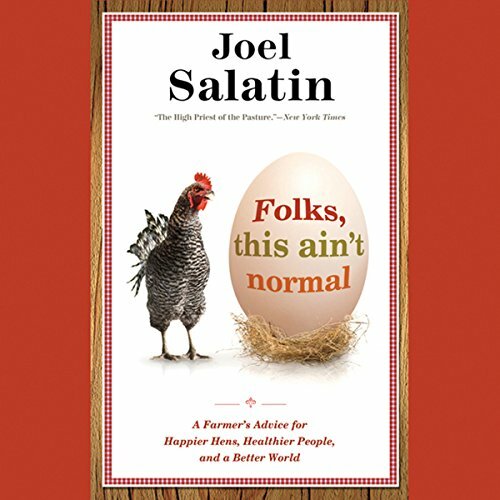 Joel Salatin has a unique view of the world and helps the listener to see things through the eyes of just a few decades ago and makes them question what they take for granted as normal. 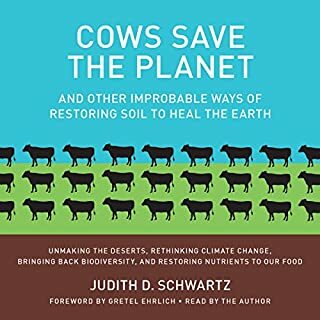 Everyone from the farmer to eco-activist should read this book and will get something out of it. I challenge you to read it and not come away thinking "maybe I should get a chicken or 2 for my back yard." Thought provoking. This ain’t normal! Listen to Joel practically solve the worlds problems. Shame government won’t listen to his answers. Can’t rate this book highly enough. So much information it demands listening to numerous times! 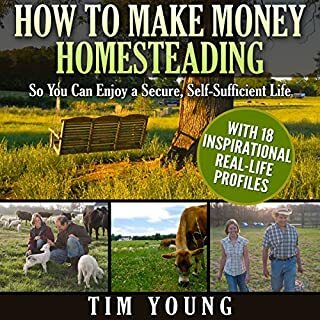 if you are sick of living a very unfulfilling way I highly recommend this book which help steer you in the direction of a more practical and self sustaining way of life. jole was a great reader and I'd recommend this product to any of you out there . 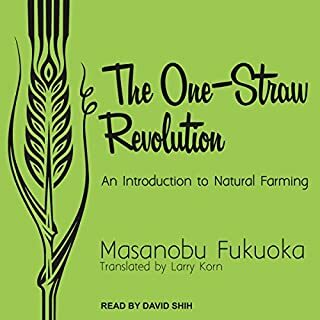 Beginning of book a thoughtful discussion of his particular farming techniques and rationale, but quickly gets off track and one can almost picture author standing on soapbox having a rant about his particular politics. Interesting information can still be gleaned, but Salatin gets off topic and unfocused. Still have greatest respect for him as a farmer. 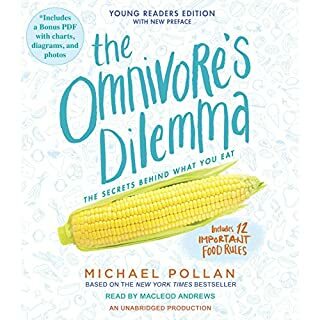 Joel Salatin, a farmer on the edge and a world away from the madness that is modern food production and what we have been led to believe is normal, takes the courage to stand up and tell it how it really is, thank goodness! 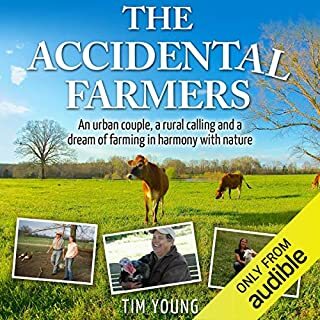 This is an eye opening, grounded and truely sensible account of real life down on the farm. He pulls no punches, and his honesty and passion are apparent in this reading by the author himself, truely educational. If you care about what you put in your body, read this!